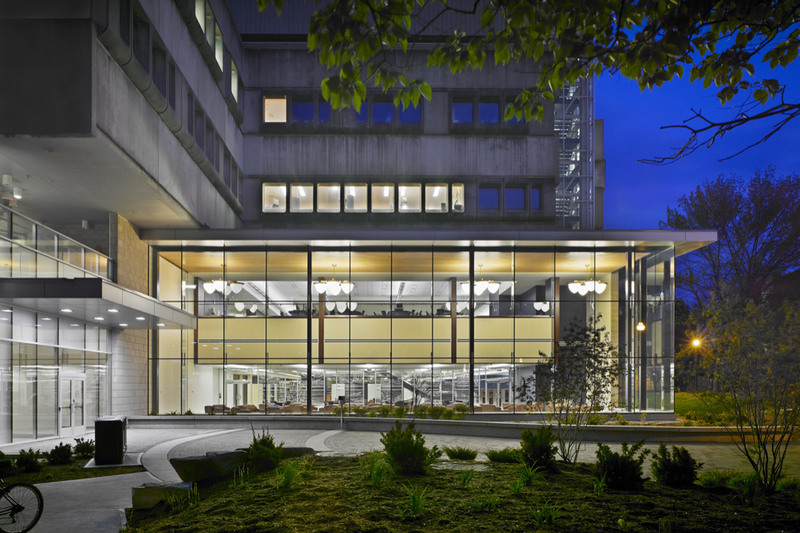 Located on the McMaster University Campus, the Health Sciences Library stands out among the concrete enclosed structures that surround it. The first thing you notice is its distinctive, two-storey window enclosure that reveals the animation within. We renovated the library in 2007. 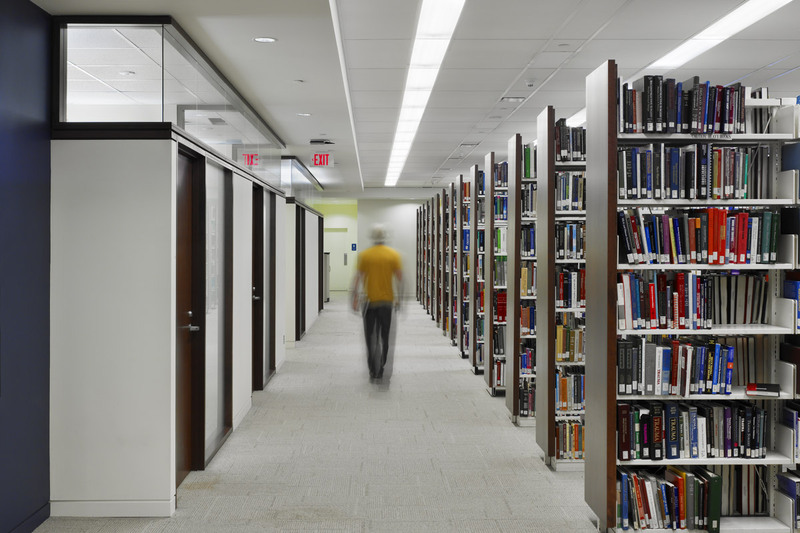 Previously, windowless walls enclosed the dark interior of the library. It shut out the light and any connection to the surrounding campus. Our design broke barriers. The concrete was replaced with large expanses of glazing. 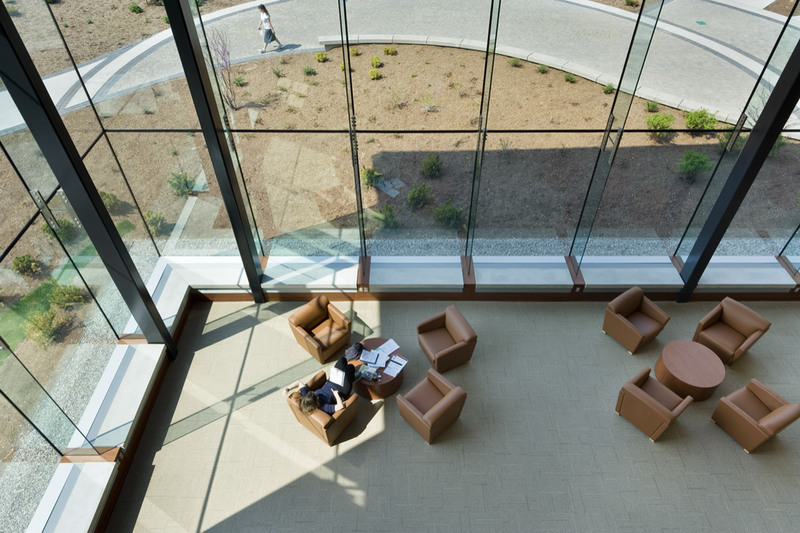 Occupants enjoy natural light, views and connection to the campus. Research demonstrates that natural light and generous sight lines impact our ability to learn. Therefore it was important that we created a connection to the campus and the surrounding landscape. 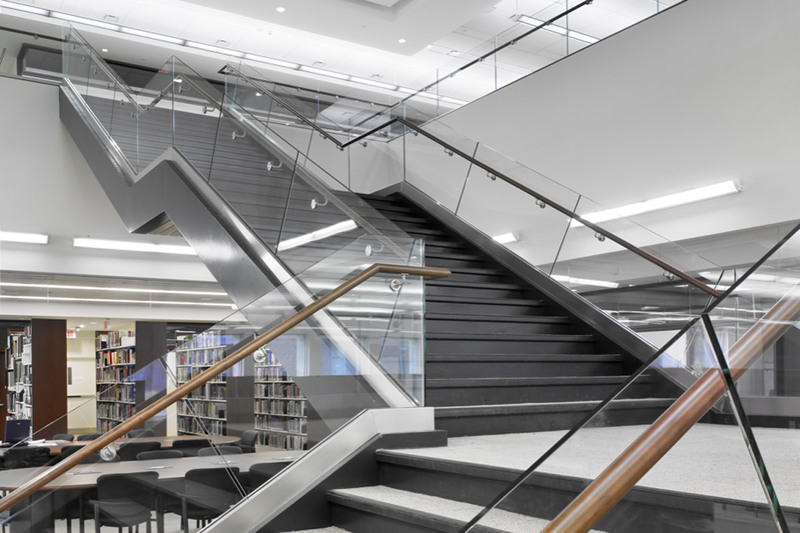 Our design challenged long held definitions of libraries as solitary, sedentary spaces. In its place, we created open areas, electronic classrooms, group study areas and an expansive, light-filled reading lounge. 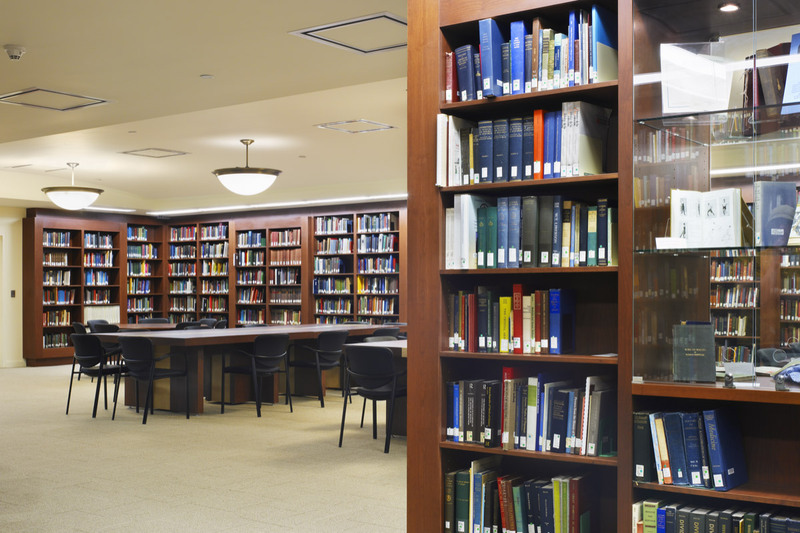 The Health Sciences Library continues to stand the test of time. It still responds to the evolving nature of education environments as a direct result of these progressive design features.